Developed in 1928 by J. V. Carden and V. Loyd. The vehicle never entered service in Great Britain. However, it was exported to other countries, including China. 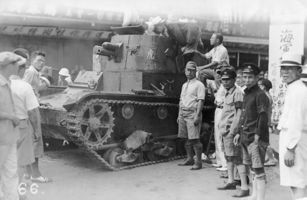 In 1937, twenty vehicles of this type fought against Japanese troops at Shanghai. 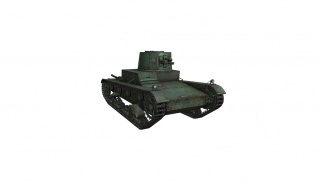 Soviet Vickers-based T-26 vehicles were also exported to China, and 82 vehicles of that type were deployed in South China and Burma in 1941–1944. 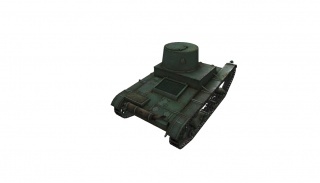 Next, research the Vickers Mk. E Type B Turret. 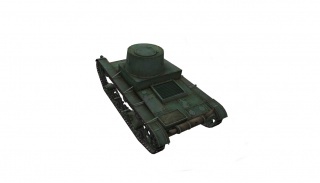 This tank was only used by Chinese Nationalists, yet it has Communist Chinese roundels. 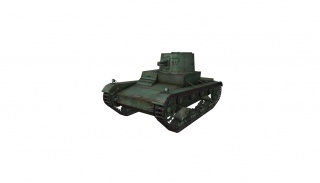 The People's Liberation Army did not officially exist until 1945, by then the Vickers Mk. E Type B tanks in Nationalist service were already destroyed or captured by the Japanese. The Republic of China roundels can be found under military emblems, but at the cost of gold. This page was last modified on 16 April 2019, at 07:32. This page has been accessed 69,213 times.